Your journey to the paradise which is the Hotel Jardín Tecinacan be broken down into three sections. With it being such a picturesque and remote location, there are a few more logistics involved than usual to get you to your final destination. However, we make everything easy and effortless for you and, as you’ll see when you arrive, good things definitely come to those who wait. So, in order to avoid any confusion, this is what your route to the Hotel Jardin Tecina will consist of. 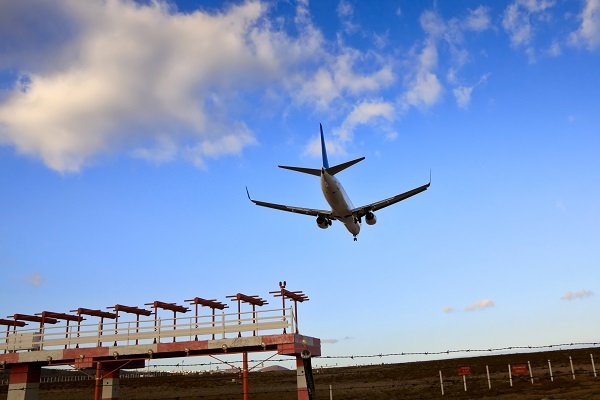 There are no international commercial airports on La Gomera and so you will be flying into the neighbouring island of Tenerife where there are two. Tenerife South is the airport closest to the ferry terminal and so this is where most people fly to. Ryanair offer direct flights from London Stansted, whilst non-stop trips are also provided from London Gatwick with British Airways, EasyJet, Monarch, Iberia and Norwegian. Direct flights are also available from Manchester and the flight time tends to be between four and four and a half hours. When you arrive at Tenerife South Airport a private transfer will be waiting to take you to the ferry port at Los Cristianos. When we book your flights, we will ensure that they match up with the one of the ferry times throughout the day. This means that you won’t be waiting around too long before the next part of your journey. However, if you have no option but to take a flight that doesn’t correspond with an immediate ferry time, you are free to explore the sights of Los Cristianos until you depart. The Fred. 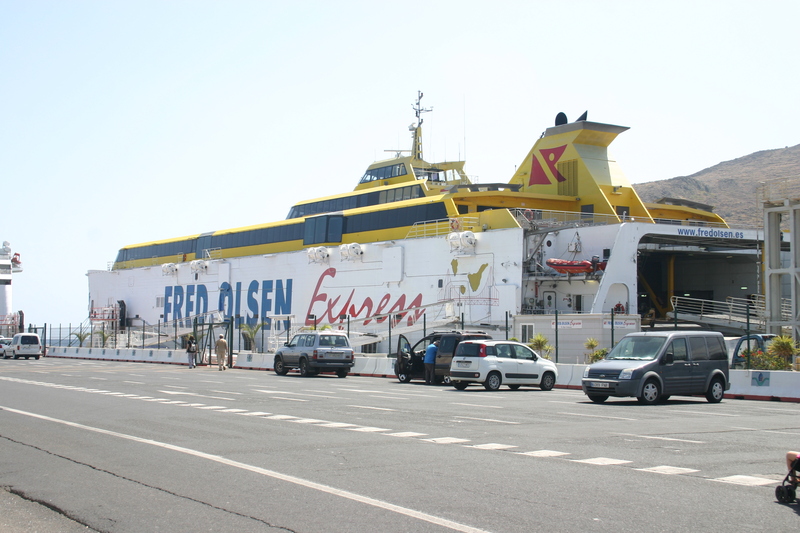 Olsen Express ferry will take you from Tenerife to the port of San Sebastian on La Gomera. The crossing usually takes around 50 minutes and will give you the opportunity to see some of the Canary Islands from a totally different vantage point. The ferries all feature comfortable lounges, bars and dining areas, allowing you to simply sit back and enjoy the views. There’s even the option to upgrade to Gold Class, which includes free refreshments, priority boarding and the chance to sit in a special quieter area of the ferry. Upon arrival at San Sebastian port, your seamless journey will have reached its final leg. Once again, your private transfer will be waiting for you so there should be no hanging around or confusion as to where to go. The drive from the port to the Hotel Jardín Tecina will take around 30 minutes and will be your first chance to enjoy the magnificent scenery and breathtaking terrain in this part of the world. 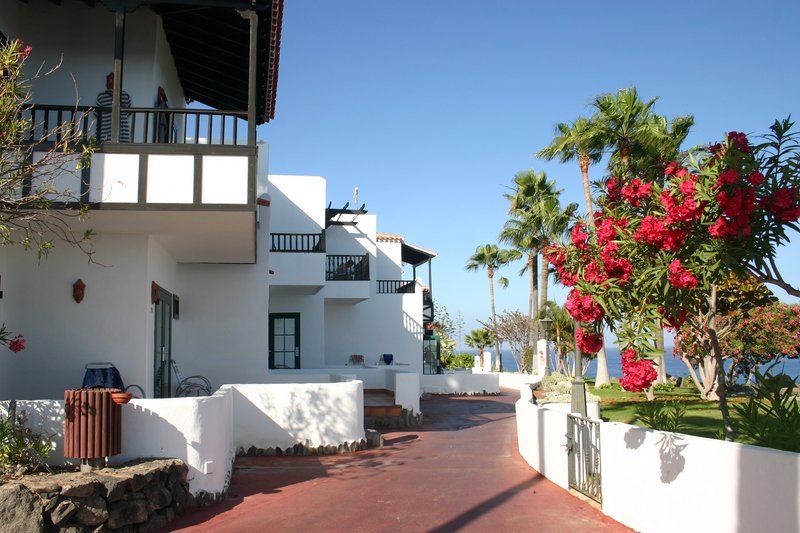 All that’s left to do then is check into your room at the Hotel Jardín Tecina and relax. An afternoon by the pool or a drink at one of the many bars is the perfect way to start your holiday. Call us today to book your stay or submit an enquiry through the website.